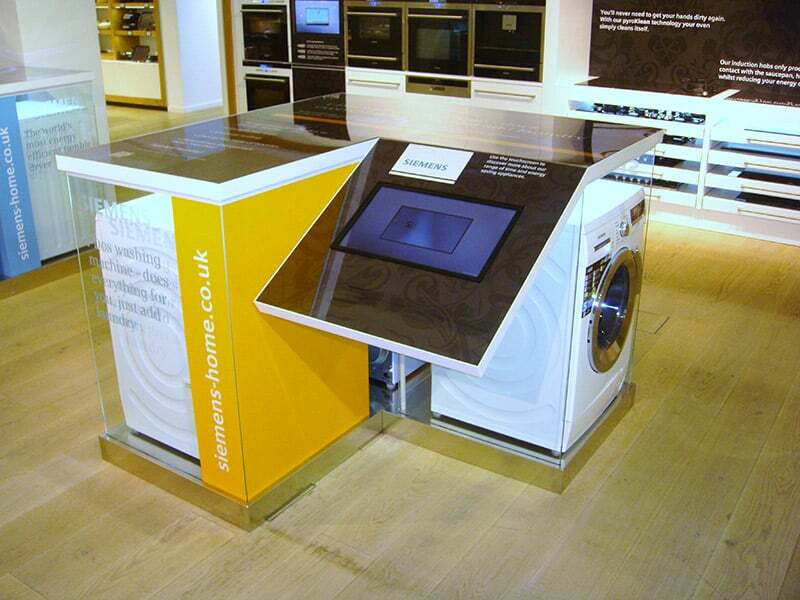 We designed and built a touchscreen programme for Siemens so that customers could browse their energy efficient appliances and calculate how much actual money they would save each year, based on water and power usage. The programme also included their current adverts for each category. We also built the unit that housed the screen, in order to display a dishwasher, washing machine and fridge. Our first installation was a custom display at Harrods, then we designed and installed a modular version of the display across key stores in the UK.